More than 2,000 tonnes of rooibos was shipped to Japan in 2018 - the largest consignment since the South African indigenous tea was first introduced to the Japanese in the '80s. Martin Bergh, chairperson of the SA Rooibos Council (SARC) says it hasn’t been easy breaking into the Japanese market – one of the largest tea-drinking nations in the world – but that rooibos is starting to make some serious inroads. “The Japanese are spoilt for choice. They have more than 26 different types of tea to choose from, which range from their traditional green tea varieties to jasmine and barley tea or ‘mugicha’ as it is known among the locals, so rooibos has been up against stiff competition," he says. “Over the years, rooibos has carved a niche for itself as a refreshing health tea, which has resonated with the ultra-health-conscious Japanese market. Today, it counts among the leading teas in Japan’s ‘healthy tea’ segment. “While the Western world has known about the risks associated with drinking too much caffeine for years, the Japanese have only recently taken notice of it. This has helped to increase rooibos’ appeal since it is low in tannins and completely caffeine-free. The general trend toward natural health and wellness products continue to exert a growing influence on purchasing patterns in the region and as more of rooibos’ health benefits become known in the East, we anticipate the demand for the product to grow,” says Bergh. Exports to Japan more than tripled in the last five years as rooibos’ presence increased in mainstream supermarkets with many launching their own private label products. Popular restaurant chains, like Ippudo, has also done a lot to promote rooibos in Japan. Instead of serving water with their pork bone broth, which is a traditional favourite, they switched to rooibos tea instead as they felt its clean taste complemented the dish better. Bergh points out that the Japanese are purists and therefore prefer to drink rooibos tea unflavoured, without any milk or sugar. “Rooibos is mostly prepared as a hot or cold water infusion in large pots or servers rather than single servings. Hence the larger teabag sizes of 3.0g or more. 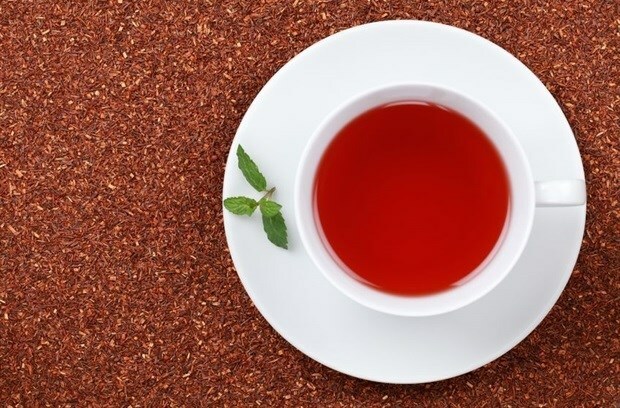 "In the past, rooibos was consumed more in summer for hydration, but has now become an all-year-round tea product which all generations of consumers, from children to the elderly enjoy," Bergh explains. Even though Rooibos only makes up a tiny slice of the 200 000 tons of tea consumed in Japan per year, it is faring well above the annual 2.3% growth rate for the tea industry, clocking up a 7% increase in sales last year. And with a market as big as Japan’s 126 million-strong tea-loving population, always eager to experiment with new products, Rooibos offers endless possibilities.